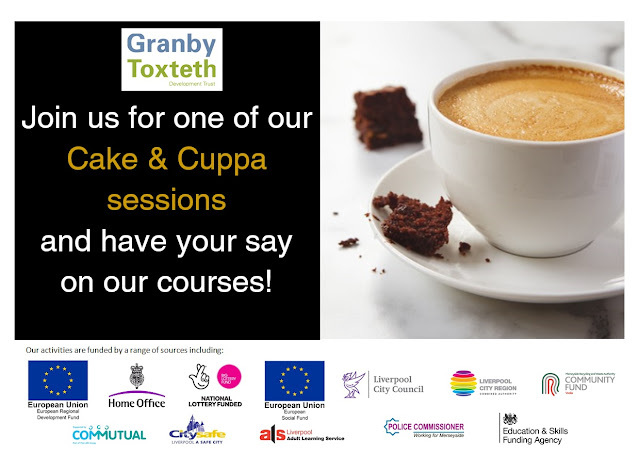 We would like to invite you to come along to one of our Cake & Cuppa sessions, so you can have your say on the community learning courses we run. Help shape our delivery by letting us know what you think of our existing provision and help us plan for the future by telling us what courses you would like to do. More sessions to be confirmed shortly, so watch this space!